It’s the most wonderful time of year, especially if you own a car dealership. Last December, the auto industry saw an 8.9 percent increase in sales—one of the strongest increases throughout the entire year. People are in shopping and buying mode. Their spending spills over into the auto world, especially during December 26-30. The week after Christmas is the busiest time of the year for any dealership. It coincides with really high factory incentives to turn over old inventory and make room for new 2017 models. Unfortunately, some dealerships relax their advertising at the end of the year. This makes them lose out on the opportunity to tap into a captive audience. Don’t be one of those dealerships! If you time your advertising right, emphasize choice and urgency and hit your consumers on the go, you could feel the positive effects well into the next year. The next few weeks could make or break your 2016 profits. During the holidays, people are in spending and giving mode—making it the perfect time to capitalize on those sensibilities. If you haven’t done so yet, be sure to start your end of year advertising now. Take advantage of the existing spirit of the season and manufacturer advertising to drive potential customers into your dealership the week after Christmas. How do you do this? Emphasize choice and urgency. Talk about the beautiful vehicles you have on the lot. 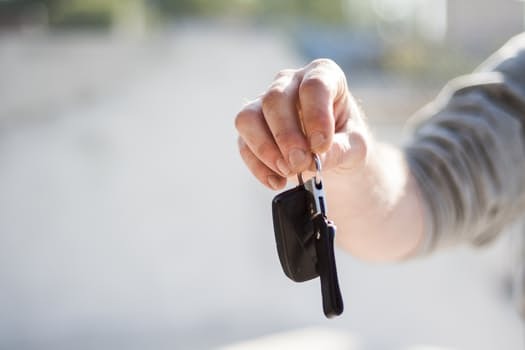 Highlight that you need to “make room for new vehicles, so you have the best deals of the year.” Make people think that, if they want to buy, they have to buy now—and find ways to up-sell. Many luxury brands ramp up their advertising at the end of the year for new and used vehicles – because they want to ride the wave of holiday spending. If you have a strong luxury department, now is the time to push luxury vehicles with themes of “you deserve it.” Most consumers want to believe they are getting the best deal out there, making them prime targets for end-of-year promotions. Just remember that consumers are moving targets, especially at the end of the year. So hit them on the go. Use mobile for location-based advertising. Get targeted and geofence shopping malls. Don’t neglect your traditional advertising channels, though. This is the time for covering your bases by making sure you are advertising across all media with an omni-channel approach. Tis the season for friends, family and car buying. The holidays are the perfect time for making or boosting your annual sales. So give yourself the gift of a strong advertising campaign. If you do it right, you should feel the positive impact of your efforts well into January and even February. That is the gift that keeps on giving.